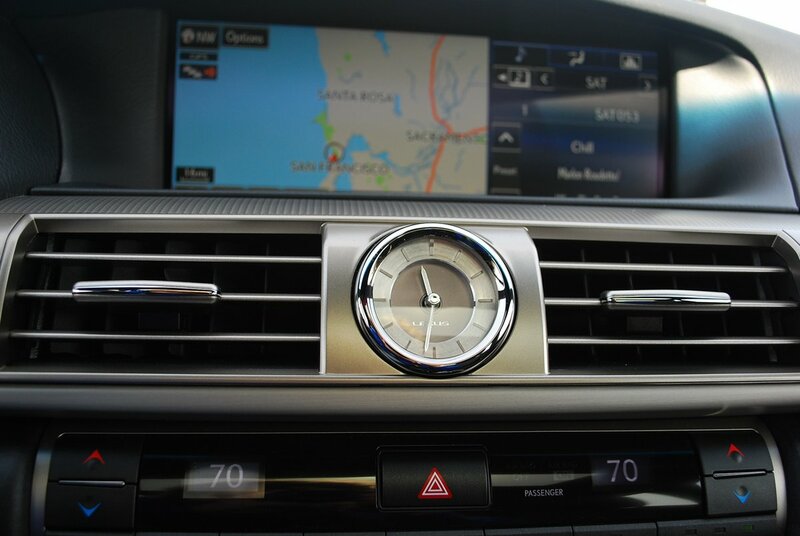 Navigation is standard, as is the huge 12.2 inch screen to decipher the map and directions. The LS offers you a gentle welcome ritual. When you lock your Lexus, it folds its exterior mirrors like a sleeping puppy. When you approach the locked Lexus, you needn’t bother to activate the key fob button because the car’s proximity sensor (called Smart Access) already senses your presence and has unfolded the mirrors and unlocked the doors for you. In the course of a busy day of errand running, this kind of time saving luxury feature is worth more than you could ever pay for it. But it’s just one component of a suite of thoughtfulness that includes doors that shut themselves automatically when they sense that is your intent. When you pop the trunk button on your key fob remote, the lid lifts without intercession on your part. When loading is done, just touch the button on the lid’s underside and it closes itself. 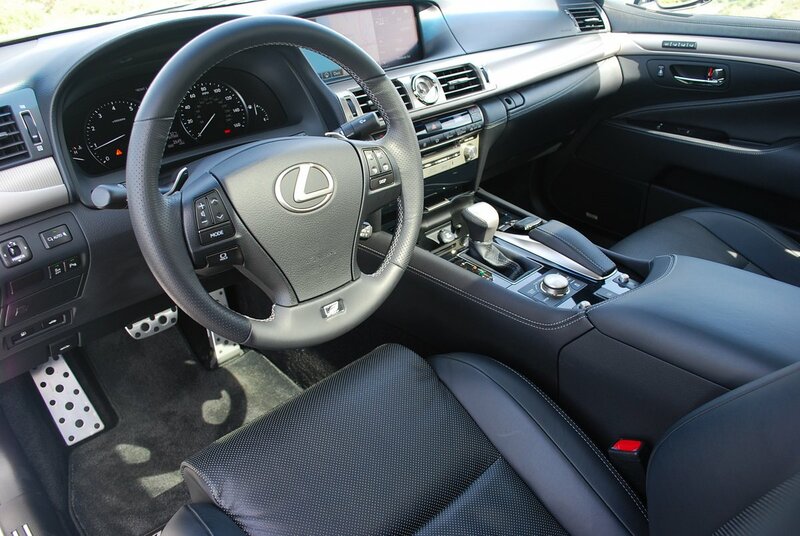 For this parlor trick you will need to order the $1,650 extra F Sport Comfort Package. In addition to the trick trunk, the package also provides climate controlled front seats, and a power rear sunshade. But luxury is more than the inclusion of useful gimmicks. In the case of the 460, the fit and finish of the interior is so stout that you will never find an errant seam or loose thread. JD Power Initial Quality Surveys repeatedly place Lexus in the very top echelon of automotive makers, and one look at the interior of the 460 confirms why: the seat leather is softer than any gloves you’ve ever owned, the wood that graces the dash and doors is luminously real, the headliner is butter soft to the touch, and the tactile surfaces on the door armrests are loose and impressionable rather than taut and hard. This is the kind of detail attention that distinguishes the flagship 460 not only from lesser Lexus products, but also sets it apart from top drawer competition from Audi, Mercedes and BMW. In the not too distant past, you would never consider a 460 to be a competitor to the German troika as a sports sedan. 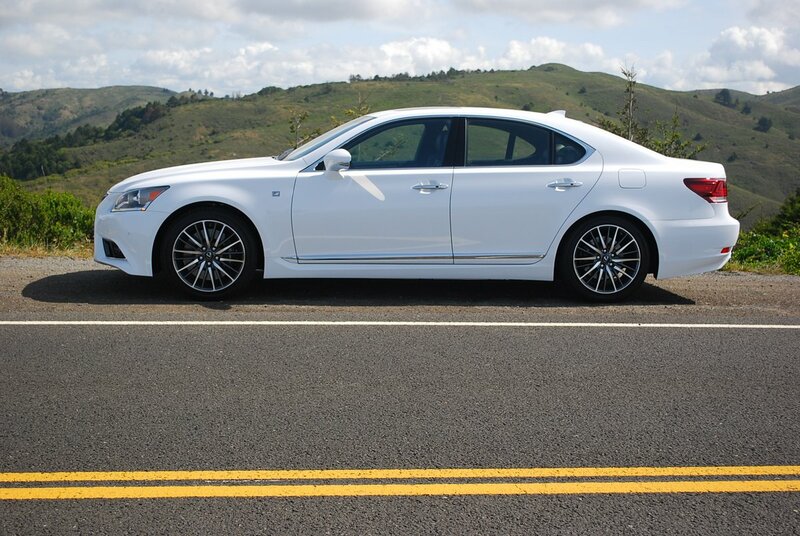 Although always wonderfully appointed, the LS placed a premium on luxury over performance. 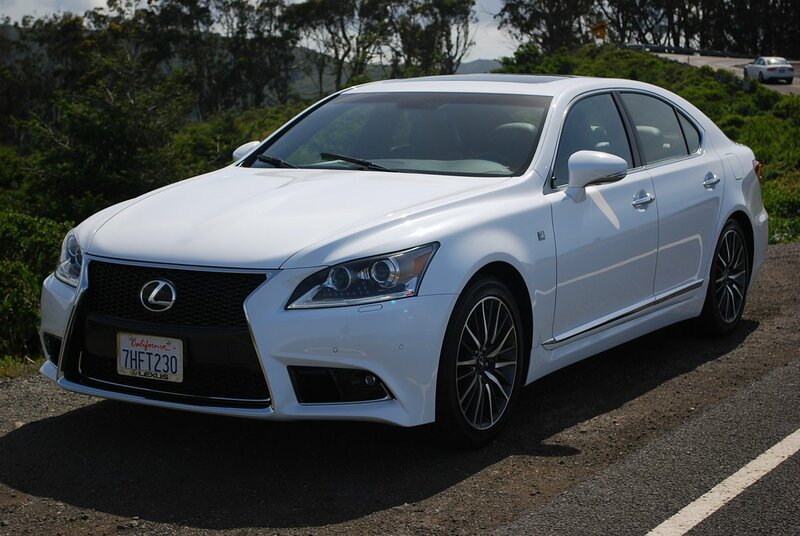 But all that has changed with the advent of the F Sport Package for the LS460. This admittedly expensive ($8,350) grouping of assets transforms the previously stodgy Lexus into a genuine fast lane screamer. 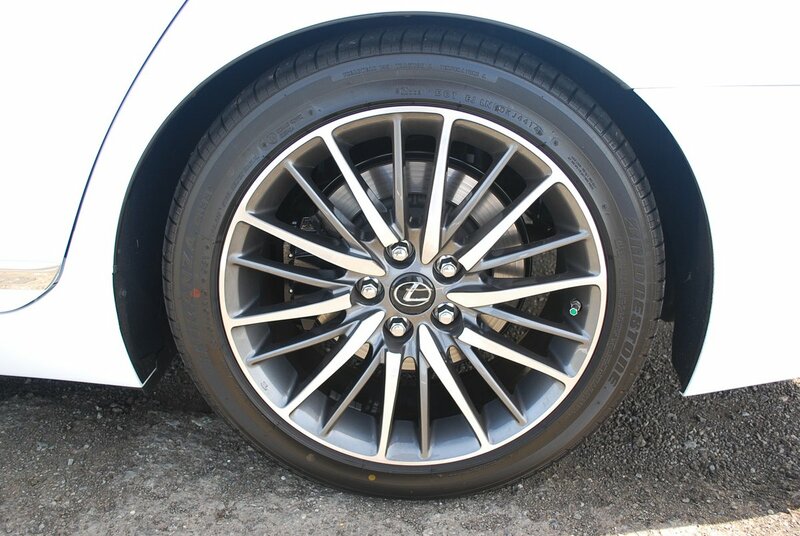 Start with the tire/wheel combo which increases from 18 to 19 inch diameter in F Sport trim. Gone are the standard, undersized 235/50R18 tires in favor of ultra high performance Bridgestone Turanzas ER33s measuring 245/45R19, mounted on understated 19 x 9 inch alloy rims finished in gun metal pewter. The F Sport gambit also installs Variable Gear-Ratio Steering which works in conjunction with Adaptive Variable Suspension to offer you a wide range of behavior from Comfort to Sport to Sport+. Dial your level of choice into the system via a large knob mounted on the center console. In the Comfort setting, the 460 tends to float over bumps and potholes, and the steering is so light that you find yourself constantly feeding in minor corrections to maintain proper freeway lane position. But if you run the big knob all the way to the Sport+ position, the LS hunkers down like a big cat hunting a gazelle. The steering ratio tightens up instantly, eliminating lane wander. Ride stiffens noticeably, and back road fun beckons. Only the overly aggressive traction control prevents you from exercising the LS with true abandon. If the protection system feels you are about to exceed its authorized limits, it will shut down gas supply and provide braking whether you or not you feel the intercession is necessary. One nice feature added for 2015 is a reduction in turning circle geometry that allows you to complete a U-Turn with ease in a very small area. This unexpected nimbleness comes as a pleasant surprise from this 4,515 lb. sedan. 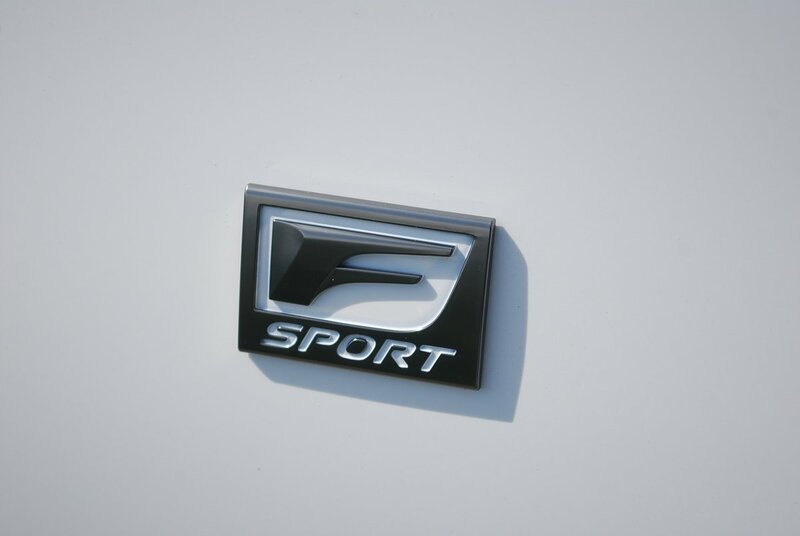 Topping off all the other virtues is a stellar V8 that produces 386hp in F Sport tune. You can harness the 32 valve, 4 cam engine’s 367 lb.-ft. of torque by playing mellifluous exhaust tunes with the help of an 8-speed, paddle-shifted gearbox. Feeling lazy? Just drop the rig into Drive, and the LS will baby you with easy shifts and quiet running. Feeling the need for speed? Slot the gearbox into manual mode, pick a gear and fire away. This sport sedan will explode with a velocity that will knock your knees. Best of all, Lexus has equipped it with suspension, steering and contact patch upgrades that make the most of that screaming engine’s full potential.